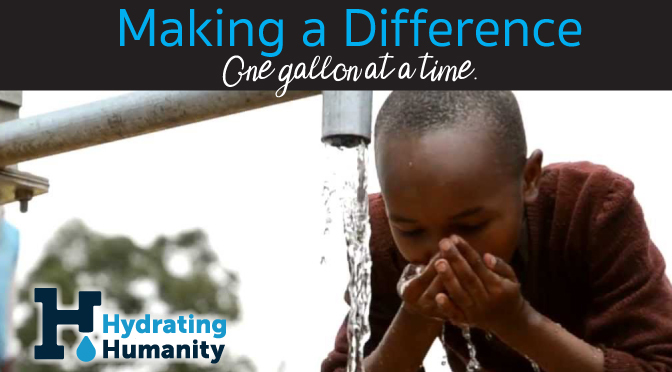 Le Bleu Central is proud to partner with Hydrating Humanity to sponsor its very own well in East Africa. The Le Bleu Central well will provide clean water, in effort to eradicate waterborne disease and prevent millions from dying. Every 90 seconds a child dies from a water-related disease. Diarrhea is the 3rd leading cause of child death, a majority of which are water-related. Every purchase made helps toward sponsoring the Le Bleu Central well in a community in dire need of clean water for drinking and bathing. Forget juice cleanses, the only liquid your body really needs is a nice tall glass of H2O. It fends off dehydration, helps regulate weight, and even prevents cavities. Here’s how to make sure your child chugs enough of the wet stuff. Sixty percent of your body is made up of water. Which basically means you, and I, and every other human in the world, are all just giant cucumbers with anxiety. I don’t know about you, but I’m actually totally down with being a delicious veggie, anxiety and all. When it comes to quenching your thirst, nothing does it better than convenient, healthy, safe, zero calorie bottled water. It’s the smart beverage choice. When looking to make healthy lifestyle choices, one of the simplest changes you can make is to drink water instead of less-healthy sugary beverages.